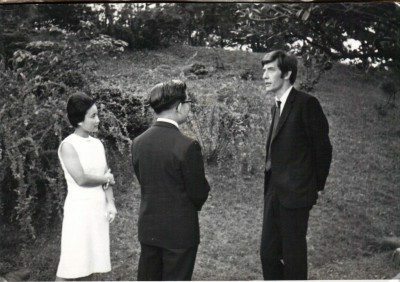 Nicholas Hagger and Prince and Princess Hitachi in the grounds of their palace, 1965. Nicholas Hagger was Prince Hitachi’s tutor from 1965 to 1967. 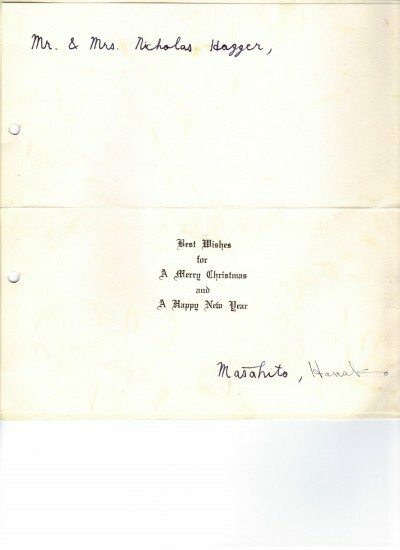 Christmas card from Prince and Princess Hitachi, signed by both of them.